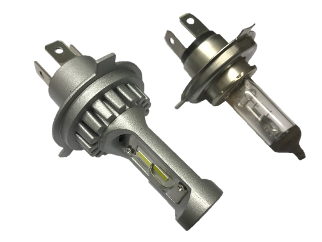 Our range of LED dipping headlamp bulbs in four popular fittings. "The answer to an enjoyable night riding experience. Say goodbye to dim original and inferior replacement halogen bulbs that consume lots of current! No more 24/24w "dim as a Toc H lamp" headlamps on your old bike. Stay at your clubs natter night until after dark and ride home with confidence! Our new "Double Dipper" range of direct replacement LED bulbs is the answer to this age old problem. Replaces standard twin filament headlamp bulbs. Click on the pictures above to see bigger pictures of each type of bulb. The following caps to suit most motorcycles. Bi-polarity and will work on a regulated AC system. A crisp, white light with an excellent beam pattern that will change your night time riding experience. Equivalent to a 40/36w filament bulb. If in doubt, have it re-silvered. A bulb is only as good as the reflector that reflects its light! Double Dippers should be focused before use (BA15d types) as with std. bulbs and head lamps MUST be aligned so as not to dazzle other road users. Please click HERE to see important fitting tips. Bulbs are individually tested before packing to ensure correct and perfect operation. Available singly or in pairs. Excellent pure white light with an amazing beam pattern! Our 5th Generation 6v 60/55w equivalent direct replacement LED H4 dipping bulb. Exclusive to CDRC Ltd! High quality chips made by Samsung. Length from mounting base to back of bulb is 45mm. Driver measures 60 x 35 x 15mm. Left or right hand dipping. Ultra compact. The same size as a halogen H4. Amazing beam pattern and cut off. 60/55w equivalent direct replacement LED H4 (472) dipping bulb. P43t fitting. 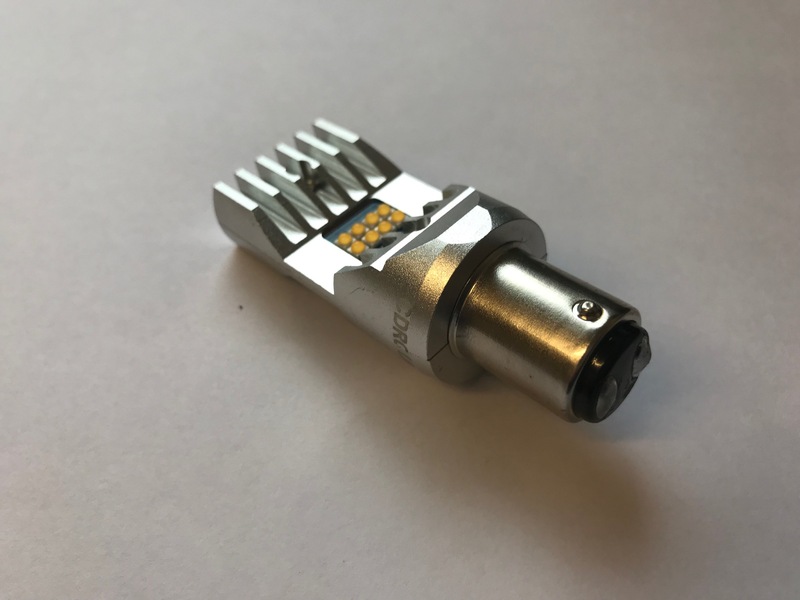 Plugs into the bikes existing H4 socket. Simple and easy to fit. No instructions needed! These P43t LED headlamp bulbs use 12 tiny chips which produce an excellent crisp light beam comparable with an original P43t halogen bulb. Output is equivalent to a 60/55w halogen bulb. 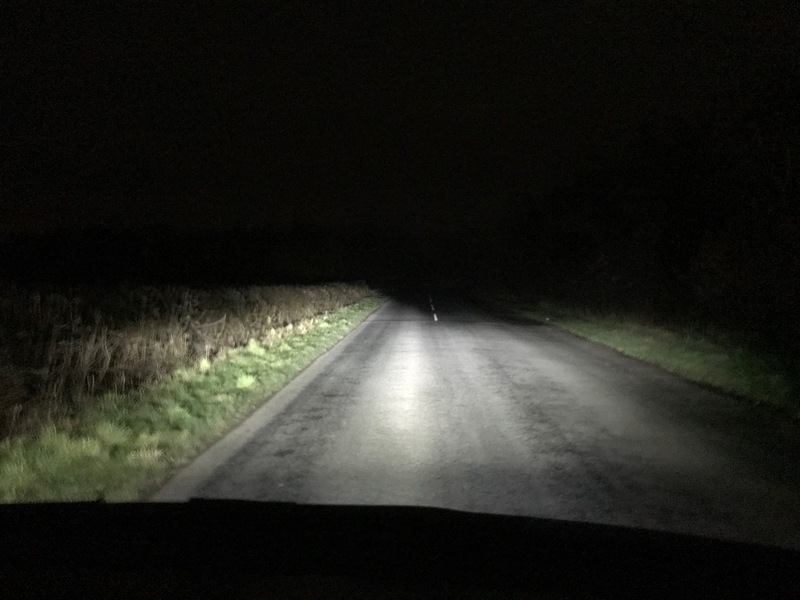 We carried out many hours of night time testing to ensure that these bulbs are reliable. There is no unreliable cooling fan unlike some inferior bulbs on the market. 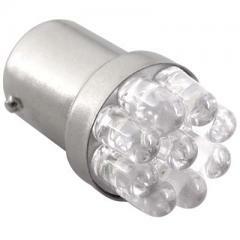 Ideal for all cars and motorcycles that use a P43t bulb(s). They are designed to be direct replacements for original bulbs. Plug and play as they call it today. They carry a 1 year guarantee. 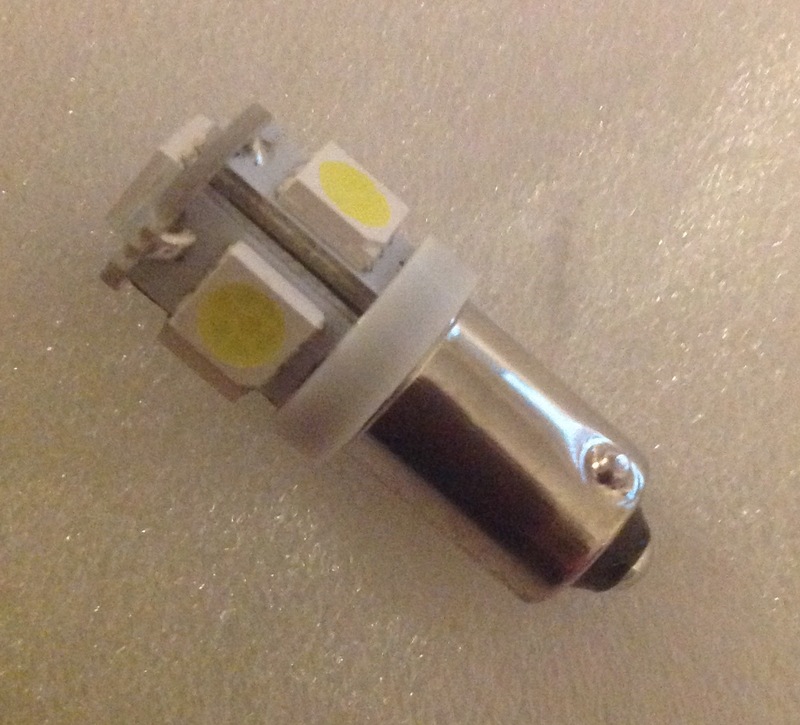 60/55w equivalent direct replacement LED H4 dipping bulb. P43t fitting. 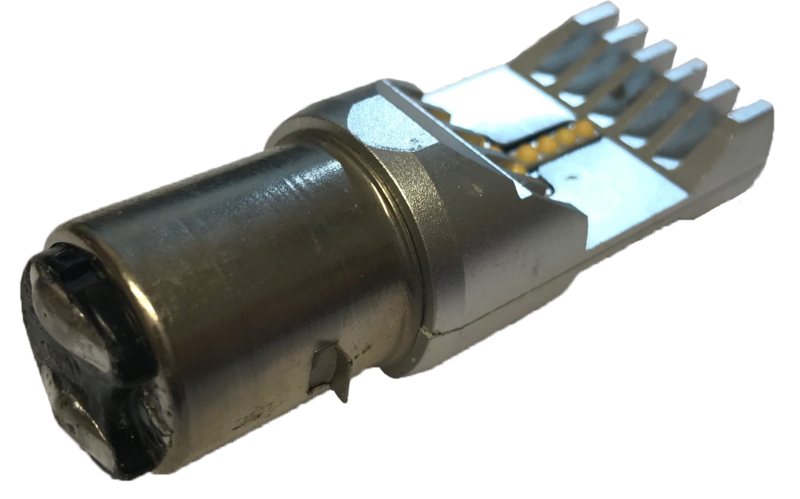 Flying lead plugs into the vehicles existing H4 socket. 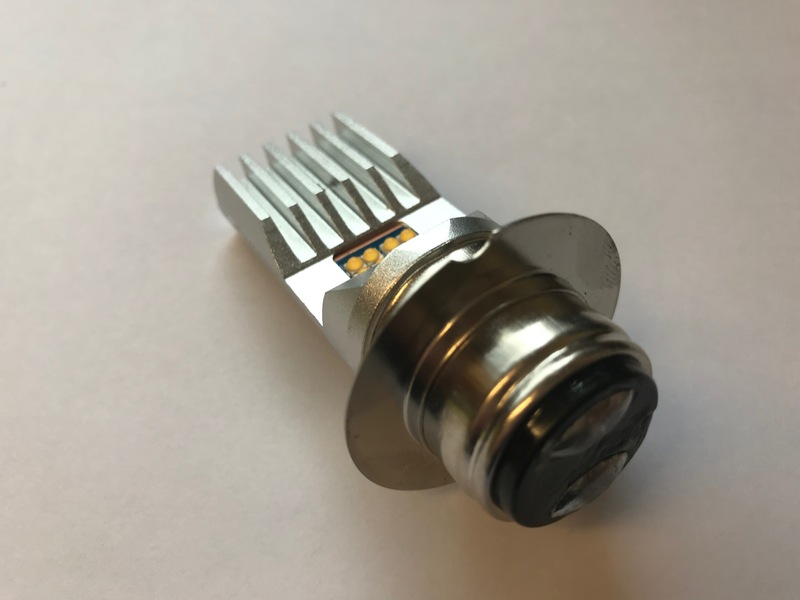 These P43t LED headlamp bulbs use 12 tiny Phillips ZES chips which produce an excellent crisp light beam comparable with an original P43t halogen bulb. Output is equivalent to a 60/55w halogen bulb. 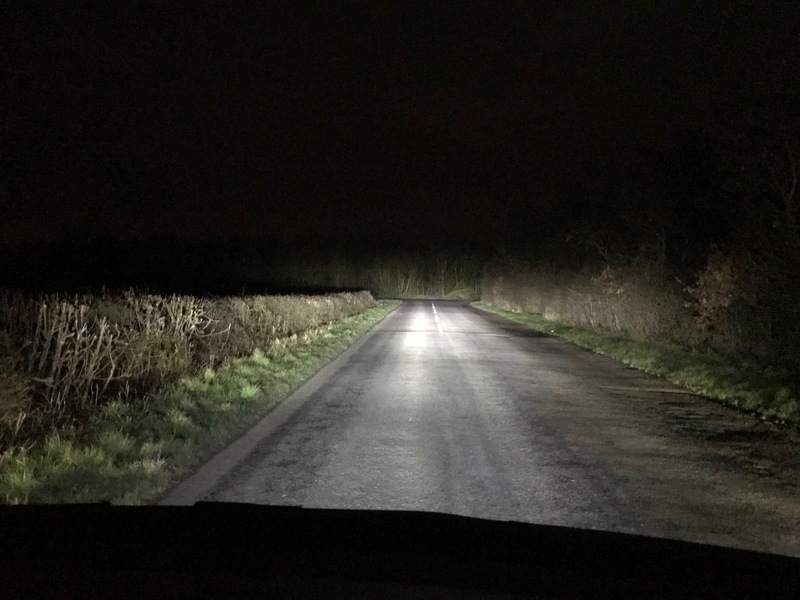 We carried out many hours of night time testing to ensure that these bulbs are reliable and the best available. There is no unreliable cooling fan unlike some inferior bulbs on the market. 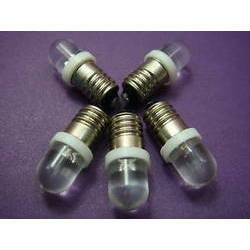 Ideal for all cars and motorcycles that use a P43t bulb(s). They are designed to be direct replacements for original bulbs. Plug and play as they call it today. 6v and 12v 60/55w equivalent direct replacement LED H4 (472) dipping bulb. P43t fitting. High quality chips made by Philips, the worlds largest manufacturer of LED chips. Heat dissipation belts can be shaped to fit the inside of any headlamp. 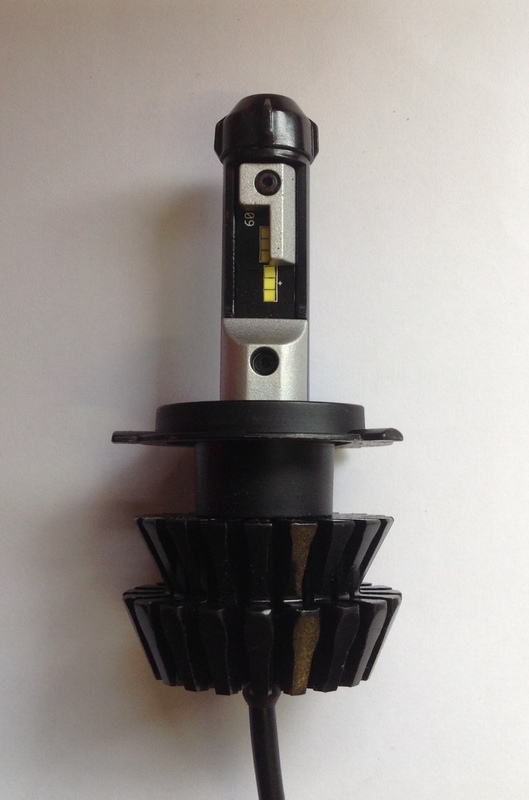 Fix kit for use with our Double Dipper bulbs when your vehicle has a high beam light fitted. Post war, vehicles had a high beam light. When you fit an LED headlamp bulb or bulbs you may find that the high beam light comes on with dipped beam as well as high beam. The answer is to fit our fix kit in each headlamp. 40mm diameter red SMD LED light board pictured top left. Non directional output unlike others that use E3 LED's. 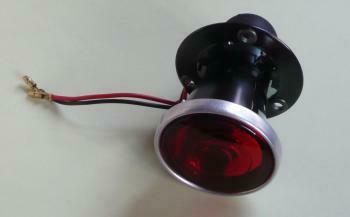 21/5w equivalent red stop/tail with white number plate illumination. 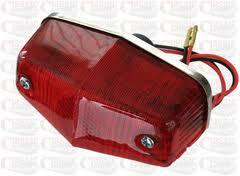 Converts Lucas 525, 529, 564, 679, 917, Miller 38ET, Vincent type and most other motorcycle tail lamps to LED operation. Available in 6v and 12v positive or negative earth. Direct replacement ultra low power consumption LED bulb. 33mm (1 1/4") long. 21mm wide (13/16") Standard BA15 cap. Special design shines bright red rearwards/outwards to light the whole lens for stop/tail and white downwards for bright number plate illumination. 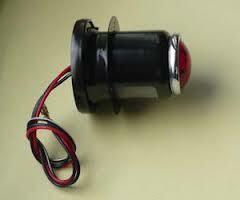 6 and 12v, Positive and Negative Earth available. Designed especially to fit many 1920's and 30's motorcycles with original small MT type rear lamps as shown below or use them in any lamp where the tail/number plate lamp uses a single common outward facing bulb and is above or beside the number plate . Special design shines bright red rearwards/outwards to light the whole lens for tail and white downwards for bright number plate illumination. 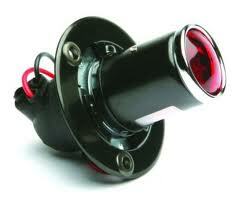 Replaces a standard 21w indicator bulb. Lights bright amber behind an amber lens. Restores colour to faded amber lenses. Available in negative or positive earth. Tell-tale requires a 12mm hole to mount. 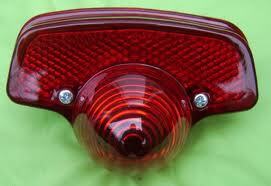 You've fitted LED indicator bulbs and a 2 pin flasher unit to your motorcycle. Everything worked fine with the original bulbs but now when you put the indicators on they all flash like hazard warning lights. This is because the new LED bulbs require so little current that the tell-tale bulb passes enough to flash all indicators at once. The answer....... our simple to fit LED fix kit. Comes with a connection diagram. A simple alteration to the wiring at the tell-tale and your indicators will work as they should. 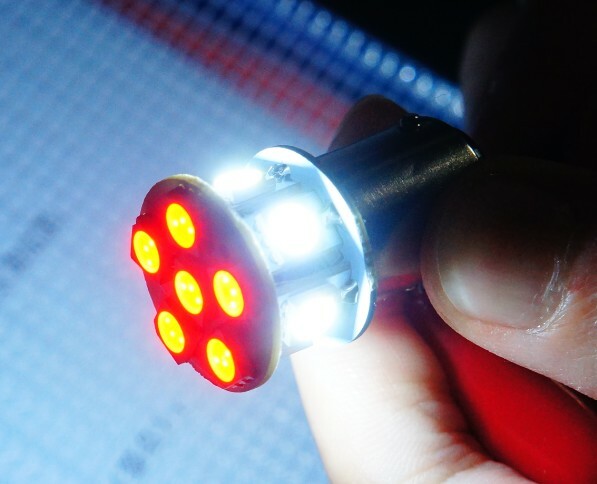 6v and 12v 5 LED - Bright. 6v and 12v diffused (multi voltage - pictured right) - Extra bright. Direct replacement ultra low power consumption 12 SMD LED bulb. Replaces parallel pin type pilot light filament bulbs. Requires an 18mm hole if used in headlamps with internal pilot light. Direct replacement ultra low power consumption bulb. Replaces parallel pin type Side and Tail filament bulbs. E10 MES GREEN or BLUE Screw in type. Will give full brightness down to 3v so also suitable for 6v systems. Gives a nice blue or green backlight to instrument clusters and individual clocks. Used in speedo's, switches etc.